Ben Rubinowitz, a partner at Gair, Gair, Conason, Rubinowitz, Bloom, Hershenhorn, Steigman & Mackauf will be speaking at the Dutchess County Bar Association in New York State. Mr. Rubinowitz, who specializes in representing the victims of auto accidents, construction accidents, bus and train accidents, medical malpractice, premises liability cases and products liability claims, will discuss effective Direct and Cross Examination techniques. To date, Mr. Rubinowitz has 92 settlements and 19 verdicts in excess of $1,000,000.00. GGCSMB&R is widely considered the top personal injury firm in New York. As is true for many of the partners at his firm, lecturing and teaching lawyers is an integral part of the firm’s practice. Throughout its 90 year history the firm has obtained some of the highest awards for its clients. The firm believes strongly in giving back to the legal community and has always volunteered its time to participate in Continuing Legal Education Programs throughout the State and Country. with speakers Hon. 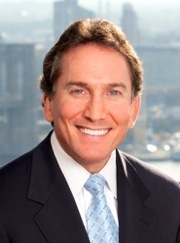 Ralph Beisner, Ben Rubinowitz, Esq. and John Cattie, Esq.